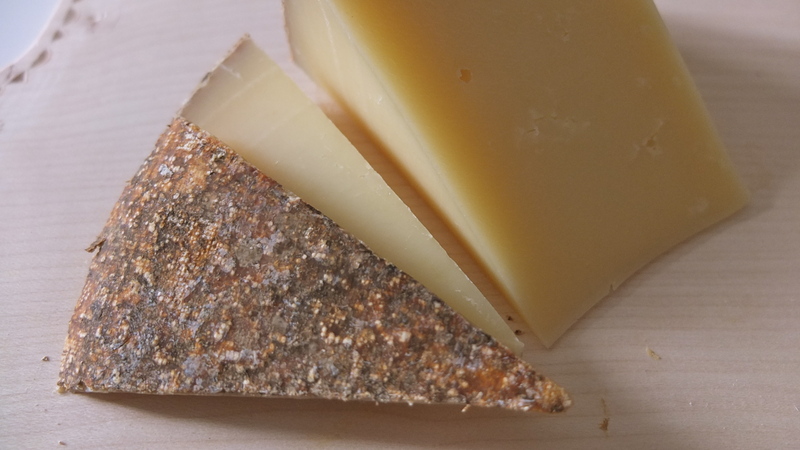 Shepherd’s Harvest has a rind that smells like soil after a long winter. The aroma of rotten leaves and earth assure us that spring is here and it’s time to lighten up. The mottled, washed rind looks like a tiger’s backside, while the paste is smooth, golden and sweet as honey. Hope Artisan Dairy Co-op “grows” their cheese. It is hand made and hand washed in a little cheese house before being released into the wild. Their sheep are raised on a diet of blue chickory flowers, red cover blossoms, the purple veteh, yellow of alsike, plantain and herbs. They are allowed to feed on this luxurious diet from early spring into late fall as weather permits. Availabilty is limited and I have yet to find a shop that carries this cheese. As they say,”good things grow slowly”. The Niagara Escarpment holds geological treasures, a warm climate and plenty of available, fresh water. It’s perfect for wine making so why not cheese? Upper Canada Cheese Company has managed to find a niche in the small town of Jordan,Ontario. Founded and built by contractor, Wayne Philbrick, a local who was inspired by the traditions of Trappist cheese making while in Quebec. Upper Canada is always bustling and full of unique and interesting gourmet accompaniments to pair with the range of Guernsey Cow cheese they are known for. 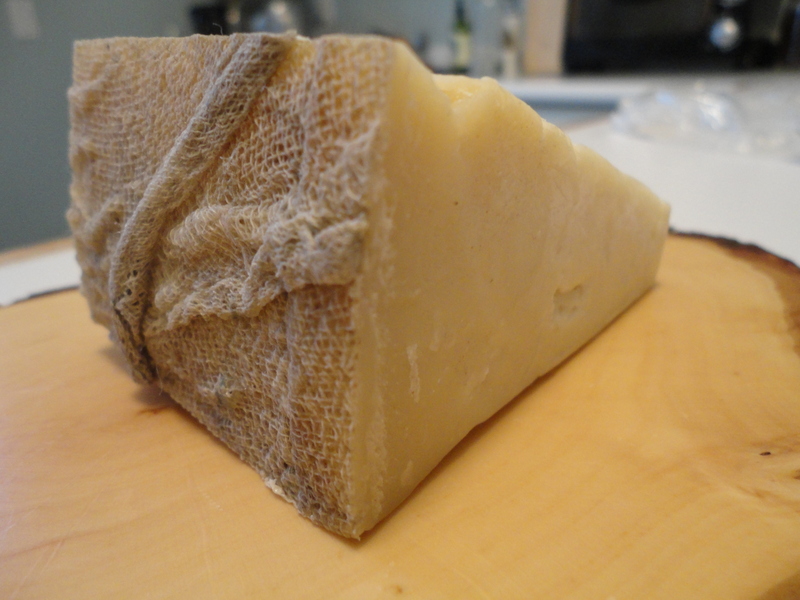 Nosey Goat Camelot is the first semi-firm, washed rind Goat cheese they have attempted. It’s pleasant aroma and salty rind compliment the sweet, lactic paste. I would not hesitate to recommend this to a virgin of the world of goat cheese. 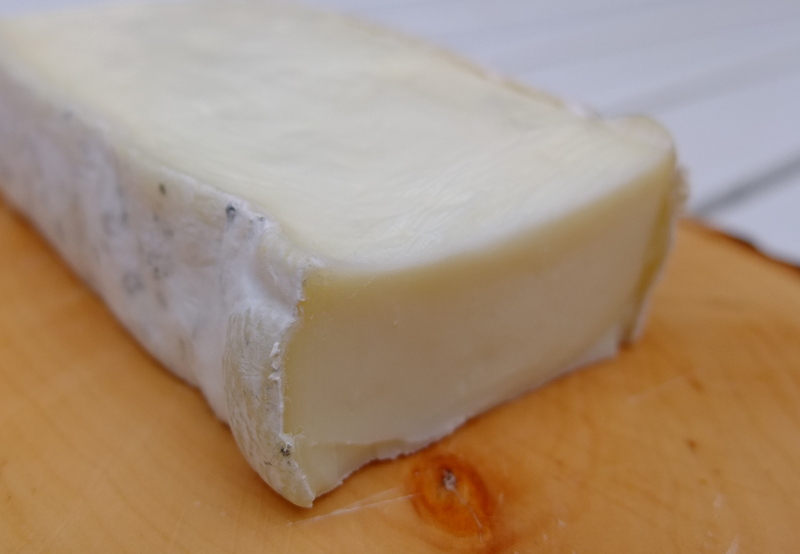 It’s mild and has a lovely, creamy mouth feel…just be aware of the hefty price tag (over $100/kg)! 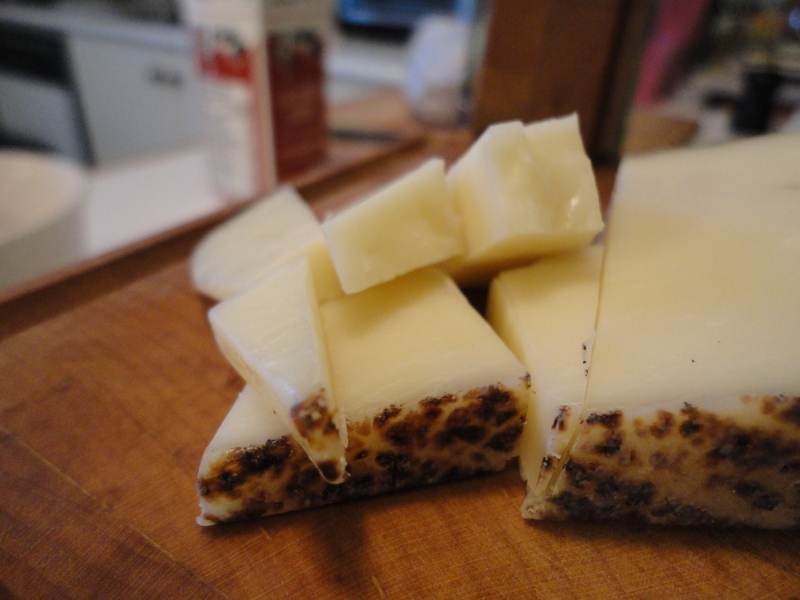 Being Swiss-Canadian, I have a soft spot for cheese modeled after old, classic recipes from the Alps. 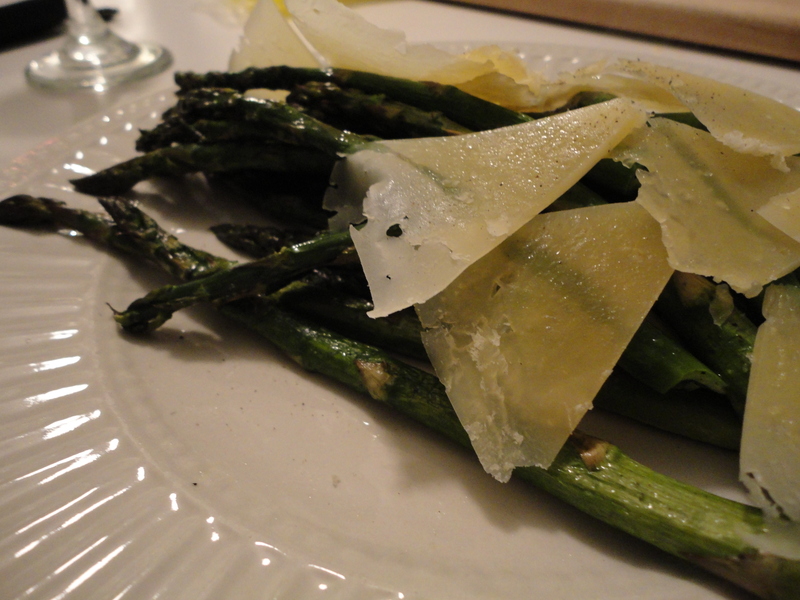 I also admire young, Canadian cheesemakers that take over the family business and bring these recipes to fruition. In my next life I hope to be born into a dairy farmer’s family so that I can follow suit. Tucked away in Oxford County, 2 hours west of Toronto, Shep Ysselstein is doing just that. He is a third generation dairy farmer, the grandson of a Dutch immigrant who moved to Canada after the war in 1951. The skills he has learned have been passed down and further tuned through travels to Europe, mainly Switzerland, to bring home recipes only an apprentice could get their hands on. The result is beautiful, artisan farmstead cheese with playful and light flavours bursting with sweet, lactic butter and floral clover. 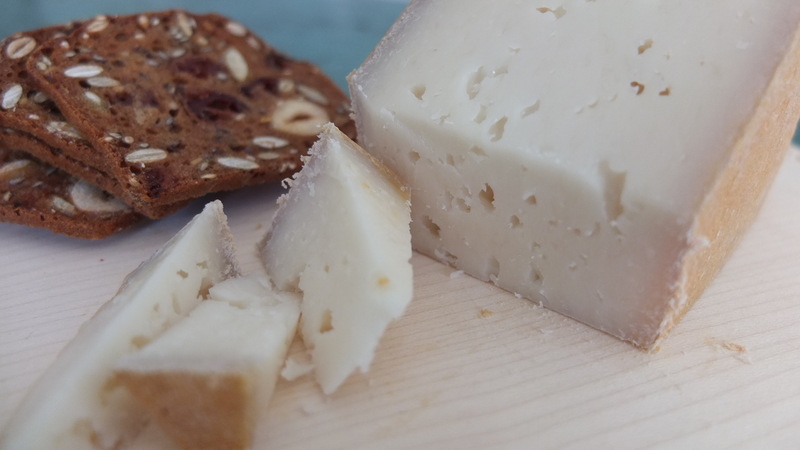 This cheese, created after the Swiss recipe for Mutchli, is named in honour of the bountiful harvest of Oxford County, the dairy capital of Canada. Gunn’s Hill Farms is well set up to host tours and sell cheese from the shop on site. They also have a “cheesemaker for a day” program taught by Shep himself. I had the pleasure of meeting Maggie from Les Folies Bergéres when we purchased this cheese. Her and her husband, Christian, decided to start creating farmstead cheese after the Listeriosis breakout in 2008. The idea seemed crazy, and the name Les Folies Bergéres, meaning “crazy shepherds” fit the bill. They believed that small scale, meticulous farming practices would help to create safe, local cheese that people could trust. The couple continue to make artisinal cheese from their farm…sometimes using only sheep, and sometimes blending the milk with cow to create different flavour profiles. This is some of the best sheep cheese I have ever tasted. The balance of sweet to salty is an art form they have mastered. 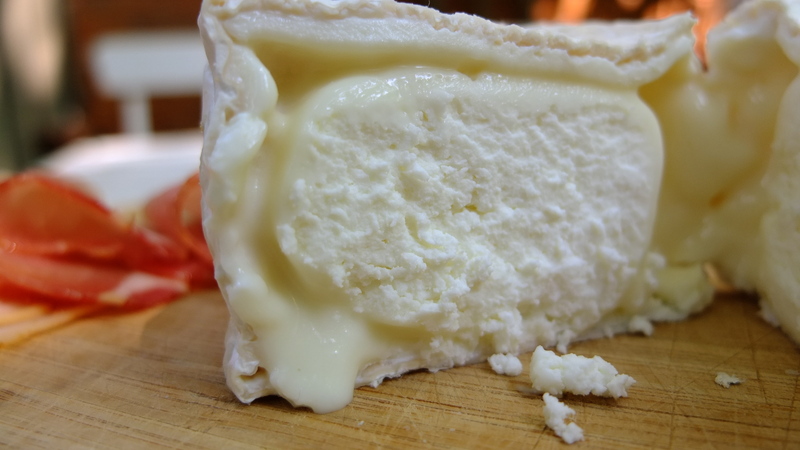 Le Jupon Frivole is chalky yet creamy, chewy yet silky, sweet yet yeasty and earthy…all without being too much of either. I served this cheese as an afternoon snack with a baguette but fresh green grapes would have been perfect for cleansing the palate after each bite. The course I am currently taking is all about the cheese making and affinage process…a subject I find quite daunting. As a visual learner it’s hard to imagine all the steps to making the final product without seeing it first hand. Thanks to the team at Monforte, and my new teacher Ruth Klahsen, we were able to experience a day in the life of a cheese maker. Monforte Dairy has faced many challenges as a small scale sheep dairy. Let’s just say if you’re not making cheese with cow milk, most government funding is out of reach. Ruth’s ingenuity to implement CSA subscriptions, or advance payment for future deliveries of cheese, allowed her to receive a grant from the government to renovate her facilities and continue producing amazing cheese. Hard, aged sheep cheese rubbed with olive oil. Who knew Thunder Bay made cheese? I didn’t until I tried Thunder Oak Gouda. 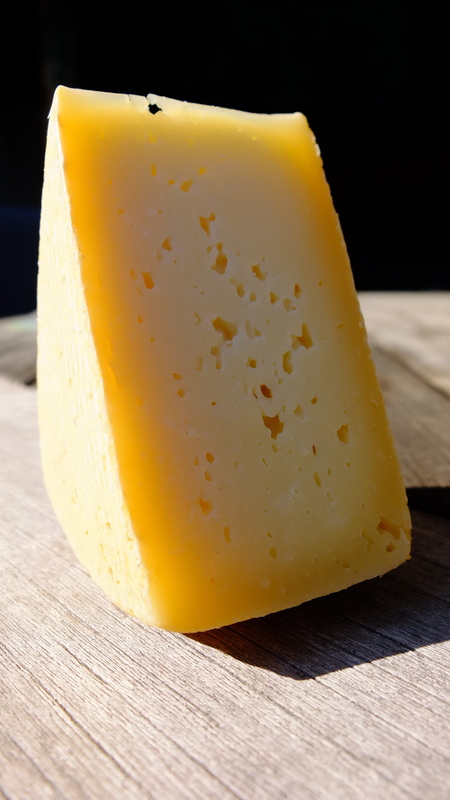 This cheese is available in a variety of different styles and ages all of which are made using traditional techniques from the Schep families award winning recipes. About Cheese in Toronto has the full line of these Goudas. I chose the standard 2yr old for my cheese plate and it was a hit! 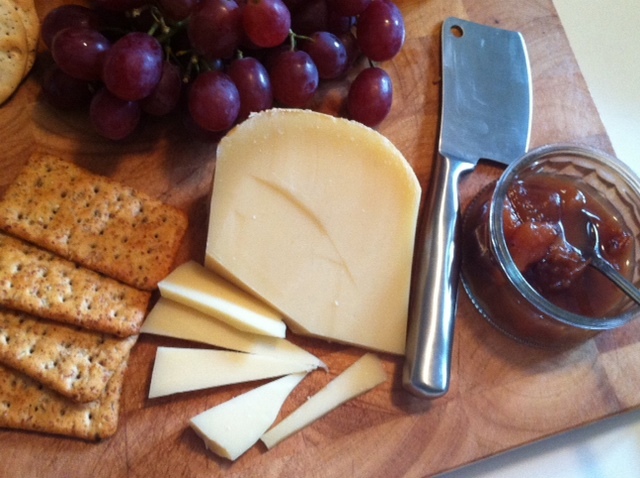 We served it along side a peach and garlic chutney with grainy crackers and a nice bowl of red grapes. This cheese has a fudge-like consistency with strong caramel and burnt sugar flavours followed by savoury caramelized onion and umami soy undertones. It’s complexity and richness would pair well with a lighter, bitter pilsner beer or a darker ale. The Schep family immigrated to Canada in 1981. Margaret Schep’s mother was a World Champion Cheese maker in the 70’s and her brother still continues the cheese making business back in Holland. This cheese is a fine example of traditional, old world cheese style continuing in a new world environment.